Today we start looking at the first in a series of previews on Horrors of the Warp, the upcoming expansion for Warhammer 40,000: Sanctus Reach. Each of these previews is dedicated to a different god of Chaos and the new units which serve them. Let's start with the Changer of Ways, the Great Conspirator, the Architect of Fate: Tzeentch! Horrors of the Warp comes with five units completely and exclusively devoted to Tzeentch. Luminescent daemons, always gibbering nonsense, always flailing and whirling their arms: they are a real threat and shouldn't be underestimated. 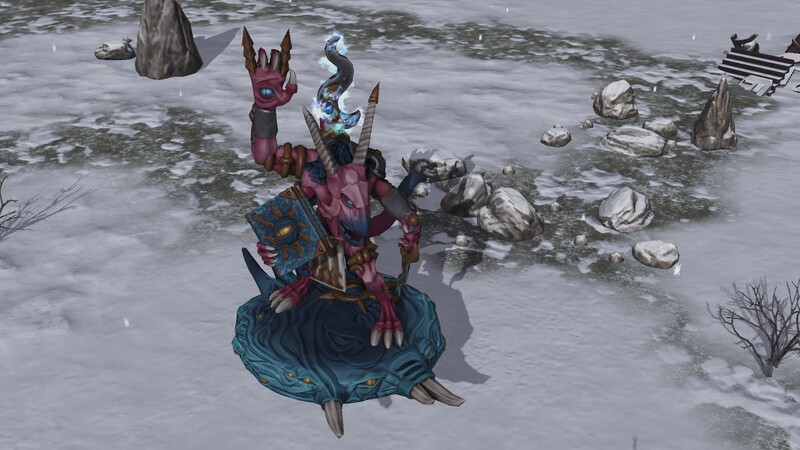 They are one of the few ranged units available to Chaos daemons (otherwise a very melee oriented army) and are able to summon and blast unnatural fire on their enemies. They are extremely effective in large numbers. Pink Horrors are cheap and plentiful, so you can swarm your opponent with these. They are Tzeentch's foot soldiers. Daemons spouting blue wyrdflame on enemy lines. They are the Chaos Daemons only flamer unit, and should be used with caution. 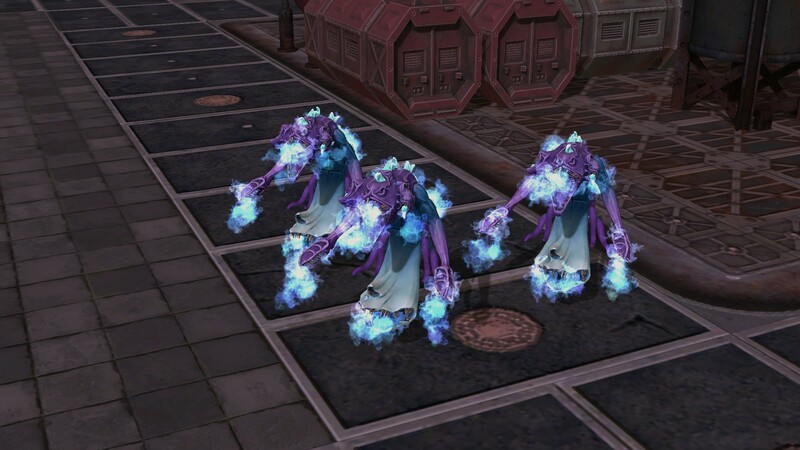 They are very fragile and if attacked they will fall rather quickly, but if employed properly they can be devastating, decimating enemy ranks with their AoE flaming attacks. They are a flying unit, meaning they can hover over any obstacle and their movement is not restricted by terrain. Their enhanced mobility is an incredible tactical asset. Position them and then unleash literal hell on the servants of the Imperium! Screamers dart in the sky and then descend upon their prey, their wailing cry deafening. They slash with their horns and fins and bite their opponents with their fanged maws. In gameplay terms they are a fast flying unit with the advantage of having great mobility but hindered by their fragility. 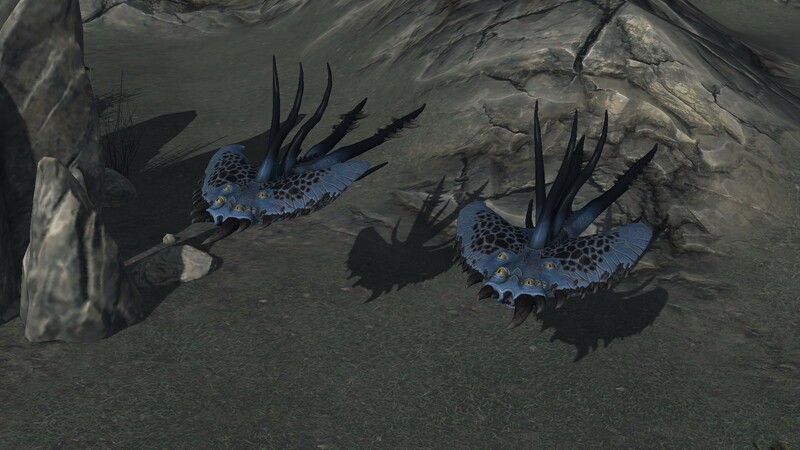 They are excellent to harass the enemy, and can be employed to strike at specific weak points in the enemy formation. No one is safe from a Herald of Tzeentch. Bolting on its Disc wherever the enemy formation is most vulnerable, it will decimate entire ranks of its opponents with its spells and arcane warp powers. In game, it has exceptional mobility due to its hovering Disc, and it is capable of unleashing terrible powers. It can attack from range, buff other Daemons and even use a truly devastating Vortex spell that will deliver great damage to any unit in the area and slow down anyone trying to flee from it. The Herald can turn the tide of any battle. Fear it! A powerful Daemonic entity coupled with a mighty Infernal machine: this killing combination is a threat to be reckoned with. This particular Soul Grinder is devoted to the Lord of Change, and will form the armored spearhead of the daemonic hosts, using its massive firepower to hammer the enemy lines, covering the rank-and-file troops of the Dark Gods as they close in with the enemy. 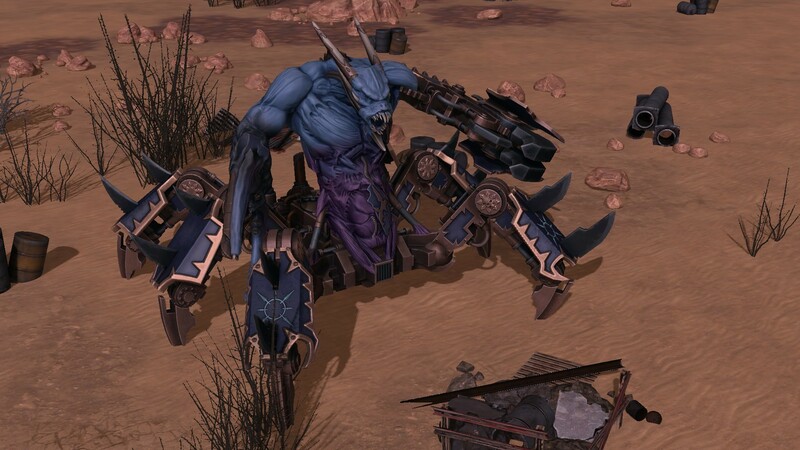 In gameplay terms, the Soul Grinder can certainly take a beating! It'll take several turns to take it down, and you'd best attack it on the rear. It has devastating firepower and is extremely strong in melee. Beware. This is it for the Changer of Ways... surely He will be pleased with his servants. We hope so at least!